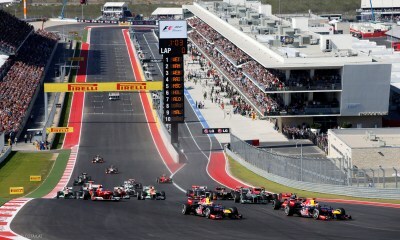 The Circuit of the Americas (COTA) debuted in 2012 and is already an F1 favourite. Dramatic natural elevation changes that reaches up to 40 meters offer great views to spectators, and a roller-coaster ride to drivers. The large venue holds an audience of over 120,000 fans and is surrounded by multi-functional amenities such as an outdoor live music space, conference centers and more. 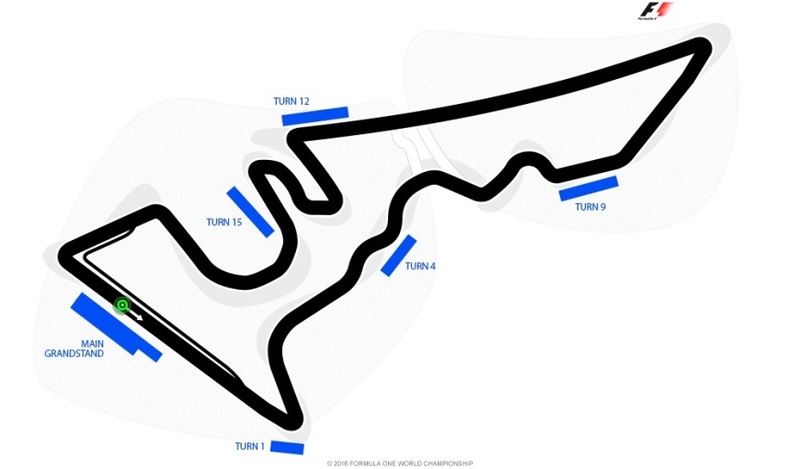 The 20 turns of COTA are inspired by iconic sectors from other circuits, such as Silverstone's Maggots, Hockenheim's Arena, and Istanbul's Turn 8. The uphill entrance to the hairpin Turn One has also made this unique corner a signature feature of this exciting circuit. General Admission tickets provide access to several free seating areas at different points around the circuit. You are free to move around, and watch different sessions from different vantage points. The Circuit of the Americas is a circuit of dramatic elevation changes, so General Admission areas offer decent views of the track. Some fans enjoy the freedom of choice and movement afforded by these tickets, as well as the extra space that can be enjoyed by those who find a niche in which to relax, spread out, and enjoy a picnic. An upper-level ticket in the Turn 12 Grandstand will give you a high vantage point and an extensive view. This grandstand is alongside the circuit’s hardest braking zone, and greatest overtaking opportunity, at the end of the back straight. Seats here guarantee a great view of some of the race’s crucial moments. The stand also overlooks the entirety of the stadium section that replicates Hockenheim’s Arena. You will enjoy an un-obscured view over 5 exciting and action packed turns, as the track meanders its way through the stadium section to Turn 16, where crowd noise rivals that of the engines. A Top Level ticket in the Turn 1 Grandstand guarantees a higher vantage point, and a more extensive view. Seats in the Turn 1 Grandstand offers one of the greatest views in all of F1, standing at the crest of the hill, you will enjoy a truly panoramic view that stretches as far as Austin itself. Your immediate view will be down the main straight, and overlooking the spectacular Turn 1, where the tracks rises an incredible 41m just before a hairpin left-hander. One of the circuit’s key overtaking areas, you will also be ideally placed to see the field charge into this corner on the first lap. You will then have a clear view down to Turn 3, and a decent section of the exit of that corner. You will also be near the pit lane exit, so will see the impressive acceleration of cars exiting the pits, and will not miss a beat when it comes to race strategy. With track side seats in the Main Grandstand, you will have an exceptional view of the main straight, sitting alongside the grid and the pit lane. You will be ideally placed to enjoy all of the pre-race action, the preparations on the grid, the all important start, and the podium ceremony. The view of the pit lane means you won’t miss any of the frantic pit stops, or the skill of the lightning fast pit crews. Seats on the Eastern side will enjoy glimpses of the spectacular Turn 1, as the track rises an incredible 41m just before the hairpin left-hander. One of the circuit’s key overtaking areas, you will also be ideally placed to see the grid charge into this corner on the first lap. Seats on the Western side will have a clearer view of the crucial final bend, before the cars blast back down the home straight.